Mary Ellen Isaacs looks at the Trump Administration's proposed budget and sees no federally-funded tutors for the 2,000 Austin students who pass through the Literacy First program for extra reading help each year. Isaacs, the director of the program, placed about 106 AmeriCorps volunteers to tutor in low-income Austin schools this year, and received about $12,900 per full-time volunteer. Next year, she might not see any of that money. The Trump Administration Thursday released its proposed federal budget, which would eliminate funding for the Corporation for National and Community Service, a federal agency that deploys volunteers across the country to staff service programs in underserved communities. 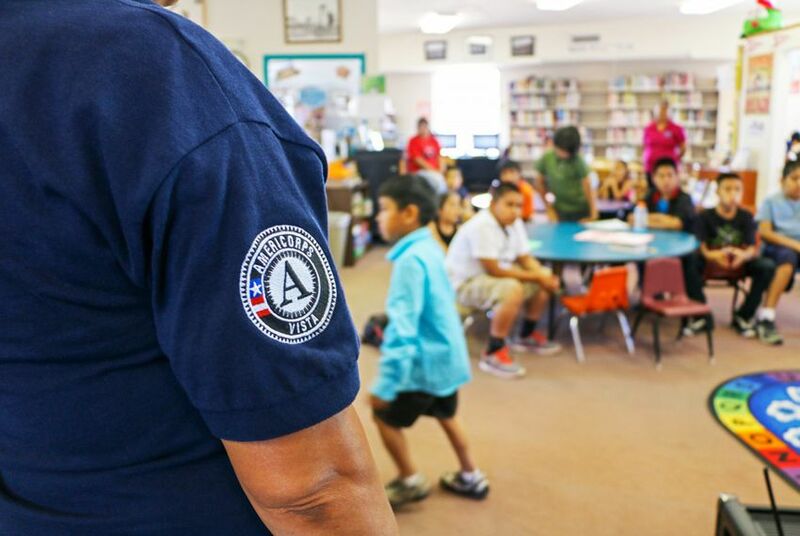 Among the major programs the Corporation for National and Community Service runs is AmeriCorps, which funds more than 80,000 volunteers nationwide every year. The funding cuts might not slash those programs entirely in Texas, but advocates say it will make it more difficult to provide their tutoring, mentorship and other education services for Texas students. "There are options," Isaacs said. But without the money to support volunteers, "all of the programs would need to rethink and tweak how the program is delivered. We'd be hard pressed to serve the same number of kids, at least immediately." Texas received $14 million in federal AmeriCorps grants in 2016-17, which funds 2,414 AmeriCorps volunteers to work with 28 schools and non-profits at 500 sites. The organizations are required to raise their own share of money to support the program; in 2016-17 they raised about $31 million in local match funding. Most of the money goes to education programs, said Elizabeth Darling, CEO of OneStar Foundation, which administers AmeriCorps in Texas. "Overall, I feel that it would definitely reduce many of those programs," she said. "It shouldn't eliminate them because we're never the sole funder." For Communities in Schools in Central Texas, that means less capacity to provide mentorship, community resources, and counseling services year round in six school districts. The federal money gives students help "to get them across the finish line. Schools don't have resources to work one-on-one, or small group," said Suki Steinhauser, CEO of the organization. Trump's preliminary budget eliminates funding for 19 other agencies, and cuts funding from many departments, including the Environmental Protection Agency, State Department, Agriculture Department and Education Department. "Consistent with the President's approach to move the nation toward fiscal responsibility, the budget eliminates and reduces hundreds of programs and focuses funding to redefine the proper role of the federal government," reads a document of budgetary priorities the White House said in a written statement released Thursday.